Home»Android » Xiaomi Mi A1 Android Q update: Is it coming? Xiaomi Mi A1 Android Q update: Is it coming? Going by the trend (at least if you take a look at the past couple of Android OS updates), Google usually announces their new OS every year in the month of March, following which they release its developer preview builds before rolling out the stable version globally. 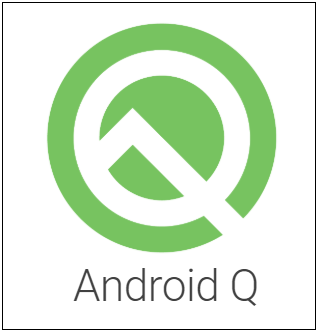 Same goes for the forthcoming Android Q that has already created a lot of buzz amid the Android phone users in terms of what new features and improvements it will bring along. Right after it was announced, smartphone users started inquiring if and/ when their device will be receiving it. Xiaomi Mi A1 users also appear to be curious about receiving Android Q on their units. I use Mi A1 and using it with Pie Jan 05 security patch. I am wondering if Mi A1 phones will get future security patches and if we are in race for Android Q whenever it comes. 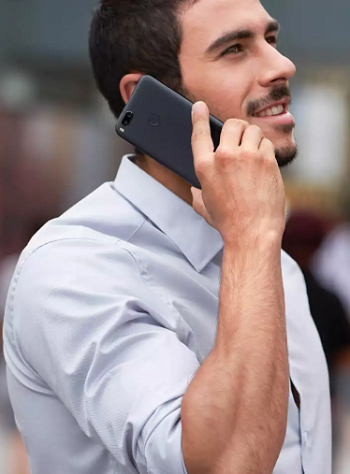 Hi Xiaomi I want To know that whether mi a1 will get android Q or Not? You might ponder upon what’s wrong with Mi A1 users asking about Android Q? Well, that’s because Mi A1 (re-branded Mi 5X) was Xiaomi’s first Android One phone that was unveiled two years back. The device was originally shipped with Android 7.1.2 (Nougat) and was upgradable to Android 9.0 Pie. Android One is basically a near-stock version of Google’s own Android OS that can’t be altered by OEMs and offers guaranteed OS updates (for at least two years), security patches (for three years), bug fixes and manufacturer support for a period of between two to three years. 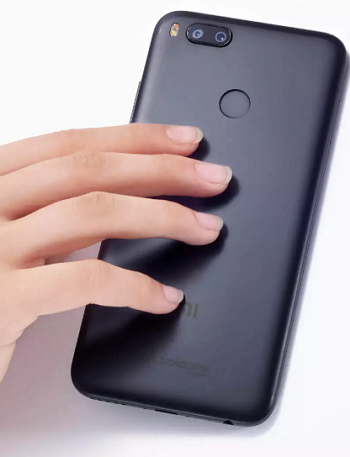 Google’s official blog conveying the expansion of Android One program with Xiaomi joining them and releasing their first Android One phone Mi A1 clearly stated that the device will be eligible for both Android Oreo and Pie. Users of the new Mi A1 will receive an upgrade to Android Oreo before the end of the year and next year they will also be one of the first to receive an upgrade to Android P.
And by that logic Mi A1 is already done with the two promised Android OS updates that it was supposed to receive. Regarding the Android One updates, there was a confusion last year end when a redditor pointed out that Google had withdrawn their two years OS update support clause for Android One devices from their official website. Google quickly cleared the air on the matter by reaffirming that Android One phones will continue to get the OS updates for two years as promised. But there can be exceptions, right? And Mi A1 could be one. 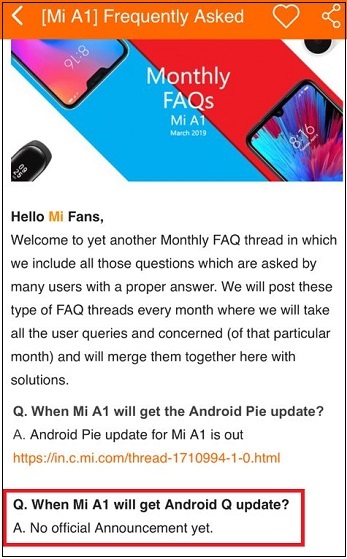 As per the recent Mi A1 Q&A at the company’s official help forum, there’s “no official announcement yet” about whether Android Q will be landing on Mi A1 devices or not. 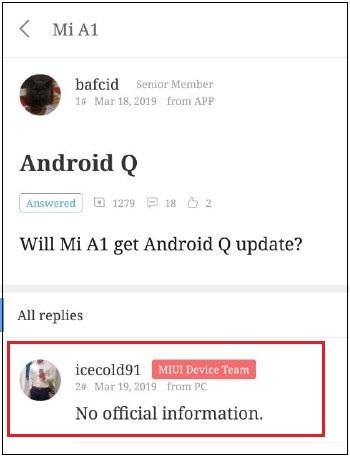 Someone from the MIUI Device team also responded in a similar manner while reverting back to one of a user inquiring about Android Q on Mi A1. Considering that Mi A1 has already received two major OS updates, the moderator and the device team member could have directly said that this is not going to happen. Instead, they responded mysteriously, which left users questioning. 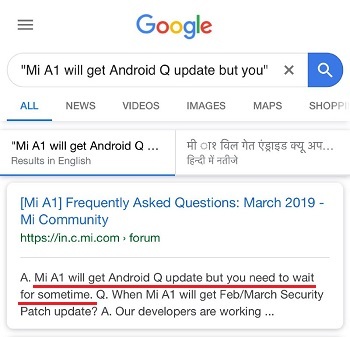 Interestingly, someone also shared the screenshot of a different response to the same query that was given by the moderator initially regarding Android Q’s arrival on Mi A1 (in the same FAQs thread), but was changed later. The moderator clearly said the update will be coming. A quick Google search also displays the same statement under the Mi forum thread link. But upon opening the link one can only see the revised statement. 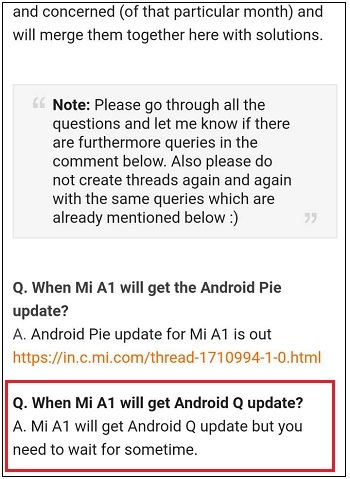 This may suggest that the Android Q update for Xiaomi Mi A1 is at least coming, just that it’s not clear when. The decisive factors for whether a phone can support a particular OS are its underlying hardware, board support package (BSP) and OEMs interest. Take for example, Xiaomi Mi A2 Lite that came baked with Qualcomm Snapdragon 625 SoC, Android Oreo and was upgradable to Pie as well as Q. If Mi A2 Lite is capable of being upgraded to Android Q, it’s reasonable to say that Mi A1 also has the required capabilities to run the same. So, technically speaking, all the odds are in favor of Mi A1 getting Android Q. Even now if the device doesn’t receive it, Xiaomi’s interest might have something to do with it. Do you own a Xiaomi Mi A1 device? If so, what’s your take on the matter? Drop a comment and let us know. Note: For more Xiaomi-related news head here. OnePlus News Daily Dose #42: Mobile gaming, India adventures, Community app and more!